The Arcadian Fraternity marked its 70th anniversary with multiple events during Homecoming Weekend, with more than 100 Arcadian brothers from the Classes of 1949 to 2016 participating. The activities included a gathering on Friday, Oct. 21, during which 12 pledge brothers from the 1950s shared memories of their era and their journeys since, and culminated in a celebration on Saturday, Oct. 22, during which the fraternity honored the Rev. Gerard Van Heest ’49 of Holland, Michigan. Jerry, who was Hope’s chaplain from 1979 until retiring in 1994, was a founding member of Chi Phi Sigma, chartered in 1946. 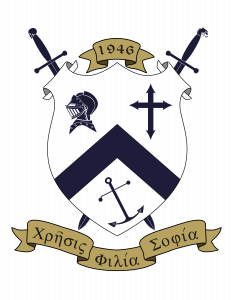 More about the fraternity is available at arcadianfraternity.com.